Walbro 465LPH 75psi max Intank Fuel Pump. Made in the USA. The 465LPH pump is designed for high horsepower turbo applications running ethanol blended fuels (E85 etc). It outperforms all other intank fuel pumps on the market. The power level supported by this pump will vary depending on the concentration of ethanol being used, but as a general rule, it is recommend for ethanol based applications making in excess of 400hp at the wheels. Note: The Walbro 465 LPH unit flows large amounts of fuel, some factory fuel lines and fuel pump wiring may need upgrading when using this pump due to the volume of fuel that this pump flows! 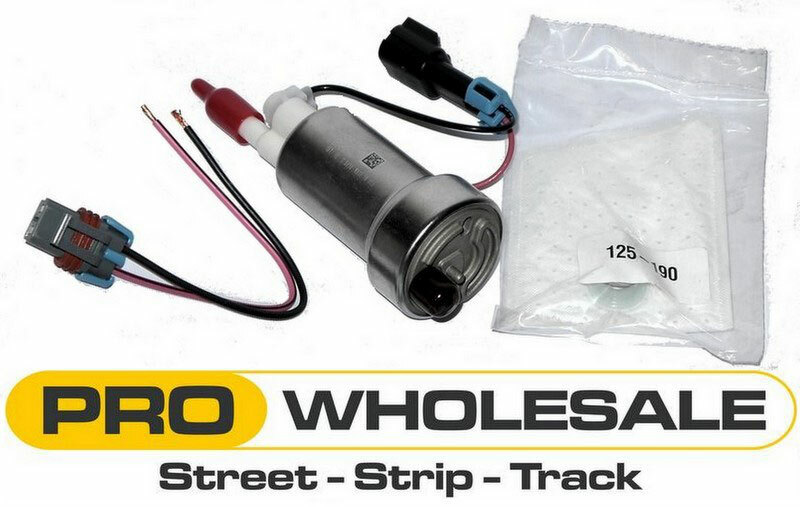 The Walbro 465 LPH fuel pump is often a simple drop-in install for many vehicles although others require minor modifications to the fuel pump cradle and/or pre filter due to the larger 50mm base. 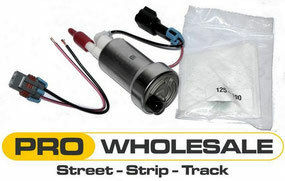 Walbro 465LPH 120psi max Intank Fuel Pump. Made in the USA. NOTE: THE WALBRO F90000274 AND F90000267 FUEL PUMP FLOW RATES AND PHYSICAL DIMENSIONS ARE IDENTICAL. THE WALBRO F90000274 SIMPLY HAS A DIFFERENT INTERNAL RELIEF VALVE PERMITTING HIGHER FUEL PRESSURES.